I'm struggling with the weather at the moment. One day it is bright sunshine and high temperatures and the next, there is a chilly wind, driving rain and general greyness. I'm inappropriately dressed at almost all times and my fridge is also often inappropriately stocked. Two nights ago, there was a serious nip in the air and I decided that I'd buy ingredients to make a warming chilli for the next evening. Lo and behold - when I arrived back from work yesterday it was muggy and sticky and I was craving a summery salad. Not very clever! Today is another beautiful day and I hear that the forecast is good for the weekend too. I'm going to a barbecue on Saturday so fingers crossed that is more successful than our attempts last weekend. After a hectic weekend which involved two weddings at different ends of the country (one on Saturday and one on Sunday), we arrived home on Monday pretty exhausted. We did very little all day and eventually decided that a late-afternoon barbecue would be the perfect way to round the weekend off. I was particularly pleased with this suggestion as barbecuing is the flower-sender's domaine and I was too tired to contemplate even the most relaxed of kitchen activity. He kept it simple with homemade burgers, sausages and vegetable skewers and all was going well as we sipped a glass of rosé in the garden. Everything was ready to eat and then... you guessed it... it started to rain. Typical! The food tasted just as good indoors as it happens and fortunately, the rain eased off just enough for me to dash back outside to cook this rather good barbecue dessert. 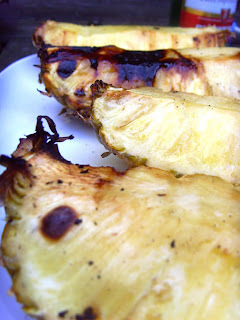 Big chunks of pineapple glazed with a sticky rum marinade - the perfect way to utilise the last of the heat from the charcoal and a lovely way to round off the meal! The recipe came from a terrific barbecue book that I own, written by Eric Treuile and Birgit Erath. This book is packed with fantastic recipes for cooking on and off the barbecue - each one is accompanied by a mouthwatering photograph and there are lots of original and inventive ideas. 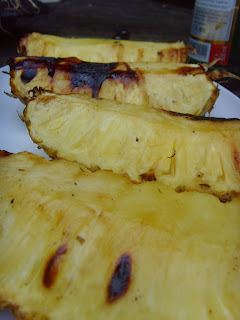 I think this would be very impressive served with homemade pineapple ice-cream. I didn't have any, but I had just made some strawberry ice-cream so we served it alongside. Recipe coming up soon! 1. Cut away the core from each pineapple quarter. 2. Make the glaze - in a small bowl, mix together rum, honey, sugar and lime juice. Whisk or stir until dissolved. 3. Brush each quarter with some of the glaze and grill on medium-low coals on the barbecue until hot and lightly charred on each side. You might like to brush with more glaze when you turn over. 4. Serve hot with remaining glaze drizzled over the top. I've spent much of last week looking after my two small nephews. The eldest is three and the younger is 18 months so I'm sure you can imagine that I was rather rushed off my feet. We had a lovely time but I was glad to have help on hand for some of the time. My mother came for a couple of nights and on one of the days cooked me this rather delicious omelette for lunch. 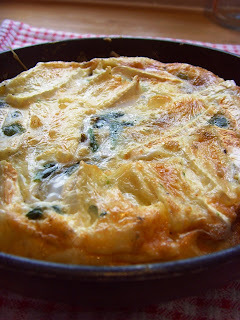 In fact this is more fritatta than omelette in that it is made with potatoes. 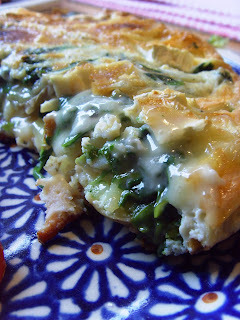 Not only potatoes though, it also contains lovely melty brie, bits of bacon and a handful of spinach. Served alongside some salad it made for an extremely tasty lunch. 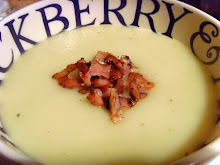 I thought it was perfect hot with the brie melting into the other ingredients, but I can imagine it would work well cold too for a picnic or a filling lunch to take to work. Her recipe came from one of those supermarket recipe cards. 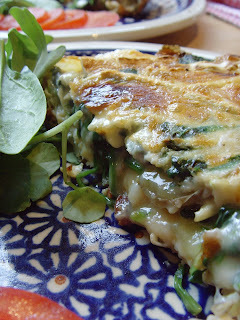 I think it was from Sainsburys - apparently it is also good if you switch the spinach for cooked green beans. 1. Cook the bacon in a non-stick frying pan until just golden then add the spring onions and cook gently for a further 3 minutes. The bacon should give off enough fat of its own accord, but if not, add a little olive oil. Meanwhile, cook the spinach in a little water and then squeeze dry. 2. Add the potatoes and spinach and heat through. 3. Slice the brie and lay the slices on top of the vegetable and bacon mixture. Pre-heat the grill. 4. Crack the eggs into a bowl and beat together with a fork. Season well with salt and pepper. Cook in the pan for a few minutes until the egg has started to set on the bottom. Place pan under the pre-heated grill to cook and brown the top. When just firm, remove from oven and slice to serve. 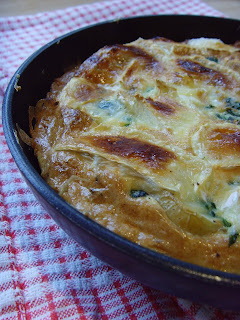 Accompany with sliced tomatoes and a green salad. I get so excited at this time of the year once all the lovely home-grown spring veg start to appear in our food shops. 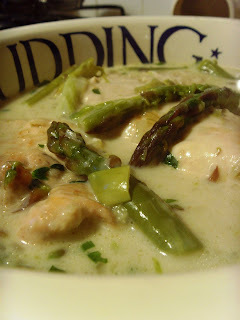 Asparagus is, of course, a huge favourite and more often than not, I like to eat it plain and unadulterated. Steamed or roasted with a blob of hollondaise sauce, a pool of melted butter or a drizzle of balsamic vinegar and some Parmesan shavings are all this gorgeous veg needs in my opinion. I'd rarely think to serve it as a vegetable on the side (though perhaps occasionally with a simple piece of fish). For me it is a vegetable that needs to take centre stage. However, I don't always stick to this mantra. 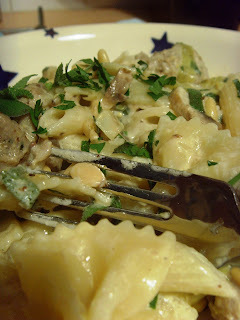 Occasionally I'll deviate from the plan and throw a few stems into pasta with lemon zest and a dash of cream. Sometimes I'll even make a soup. And very occasionally, I'll make something a little more... exciting. This is yet another dish from BBC Good Food which caught my eye and was just perfect for a special but reasonably speedy and straightforward supper. I use their website so often for ideas that I should perhaps become their official spokesperson! 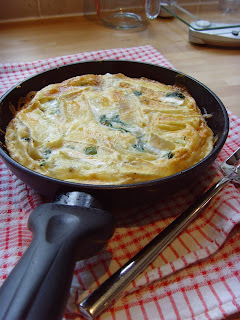 The dish isn't complicated to make in the slightest but it does look impressive and would certainly be a good dinner party dish when you are in a hurry. 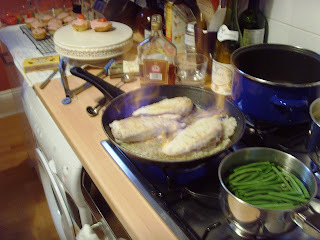 Your guests will be especially impressed as you deftly flambée chicken and shallots with brandy. 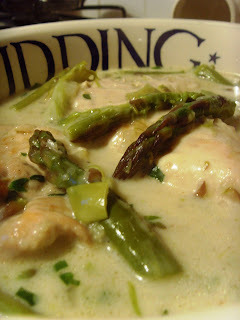 Onces the flames (and excitement) have died down, you'll add some chicken stock and leave the chicken to simmer for a while before adding asparagus and finishing with creme fraiche and tarragon. Delicious! 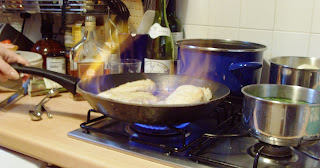 As for the flambéeing, don't be concerned if you haven't tried it before. It isn't nearly as alarming as it may seem. Yes there are big flames. But rest assured that the flames do die down after a while. Just stand back, keep your hair out of the way and be patient. 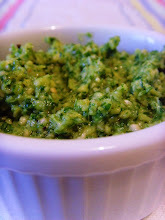 I have to admit that I'm not a fan of tarragon in the slightest and for me the flavour was a little strong. However, I do think it is rather essential to the dish. I had to admit that it worked extremely well with the asparagus flavour. I'd love to suggest a substitute for tarragon-haters like me, but I can't really think of herb that would work in quite as well. I won't repeat the recipe here as you can find it over here. 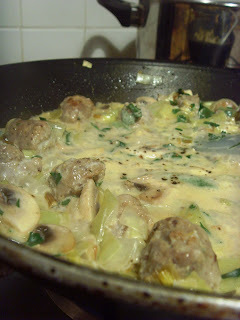 One thing I would say though is that I decided to thicken the sauce with a little cornflour - for me it was too runny. Last weekend the flower-sender took me to Champagne for the bank holiday. We had a thoroughly decadent weekend, staying in lovely hotels, sipping on lots of lovely fizz and indulging in all sorts of delicious food. To thank him for spoiling me rotten, I decided to cook a rather more special meal last last night. After one of my favourite simple starters and a rather good chicken and asparagus dish (more of which later), I served these cute little cupcakes. The recipe caught my eye in a recent edition of my favourite foodie magazine: BBC Good Food. I've started to find the first of the British strawberries in the shops and whilst I'm aware that these are no doubt grown in some kind of heated poly-tunnel, I am unable to resist their heady, summery smell. My local supermarket always positions them just by the door and the smell in quite intoxicating; I defy anyone to walk out without a punnet or two in their trolley. To be honest, I'm all too often disappointed with supermarket strawberries - picked too early and stored too cold, they are all-too-often lacking in flavour. But these beauties were surprisingly sweet and delicious. 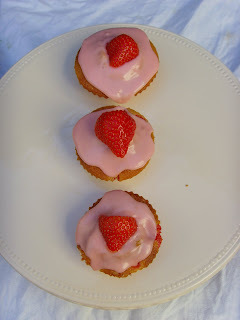 I loved the idea of incorporating them into little cake and flavouring the icing with their juice. They looked so pretty in the picture too - I knew I had to re-create them. The only trouble I had was locating one of the key ingredients: polenta. I've never purchased polenta before. Principally this is because I can't stand the stuff. It reminds me rather of wallpaper paste or, if fried, rubber. Not my thing in the slightest. But I have loved almost any and every cake I've ever tasted that incorporated this ingredient. You'd think it would be easy to find. I searched high and low for the stuff - I visited large branches of three different supermarkets plus several small independent shops. 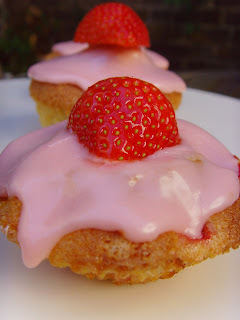 The only thing I could find was some ready-made polenta - all ready and rubbery but not what was required for these cakes. I finally struck gold in Waitrose (of course). But even there, all I could get was 'instant polenta'. I'm not sure what this is exactly, but it looked right when I poured it out of the packet and it seemed to do the job perfectly. 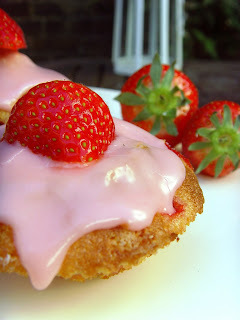 I was really pleased with these - the polenta gives the cakes an interesting, slightly grainy texture and the strawberries add moisture. But, to be honest, the best thing about these is the way that they look. So pretty, in a sort of ramshackle, British shabby-chic sort of way. 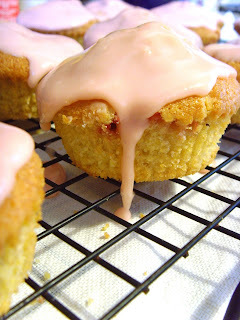 I think it imperative that the icing should be applied in a rather haphazard fashion so that it drips down the sides. You may prefer things a little more... polished and perfect. But I like them just so! 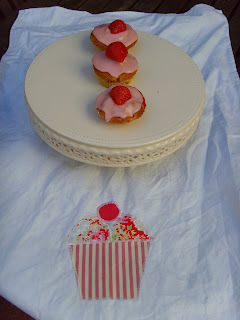 I think these would be lovely served instead of a large birthday cake at a summer birthday party in the garden. 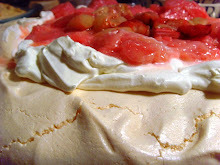 Or perhaps to bring out as dessert after a summery dinner in the garden with friends. The recipe states enough for 12 cakes but I found the mixture was plenty for 16. Guess it depends on the size of your muffin tray and paper cases! You'll find the original recipe here. My version is below. 1. Preheat the oven to 180C. Line a 12-hole muffin tray with paper cases and set to one side. 2. 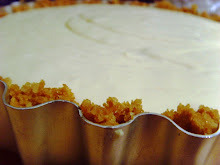 Cream together the butter, sugar and lemon zest in a large bowl until very pale and fluffy. I suggest doing this in a mixer or with electric beaters. Next, add the polenta and blend until combined. 3. Beat the eggs lightly with a fork and then add a little at a time to the butter and sugar mixture. Mix as you add. 4. Sieve the flour and baking powder over the mixture and fold in gently with a metal spoon or a spatula until fully combined. 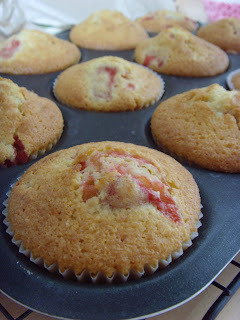 Stir in the milk to loosen the mixture and little and finally, gently fold in the chopped strawberries. 5. Spoon the cake mixture into the paper cases and bake in the centre of the oven for around 20 minutes until the cakes are risen, springy to the touch and golden. Remove from oven and allow to cool for a couple of minutes before transferring to a wire rack. When cool, carefully peel off the paper case. 6. 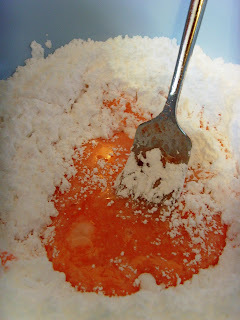 For the icing, sieve the icing sugar into a large bowl. Mash three strawberries with 1 tbsp of lemon juice and then push through a sieve a little at a time. 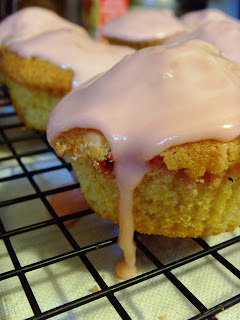 Mix into the icing, adding a little more lemon juice if needed until you have a smooth, thick put fluid icing. 7. Either dip each cake into the icing, or spoon the icing over the cakes. 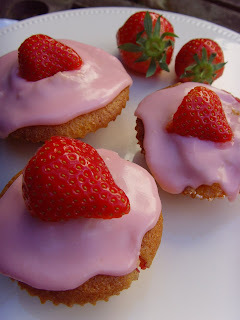 Press half a strawberry into the icing on the top of each cake and serve within a couple of hours. 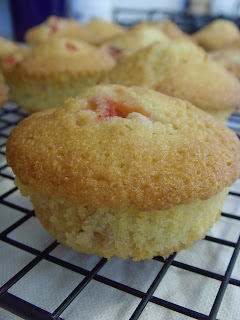 Notes - the cakes will keep (un-iced) in an airtight container for 2 days. Once the strawberries have been popped on top, they don't last very long. But that shouldn't be a problem. 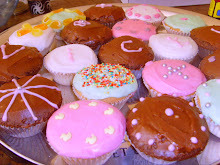 If you allow anyone to see them sitting on the side it the kitchen, they won't last long at all! I'm all at sea with the changing weather at the moment. One minute it is hot and sunny and I'm rolling out the barbecue and sipping on a cool glass of rose and the next, I'm layering up the sweaters and wondering whether I should light the fire. 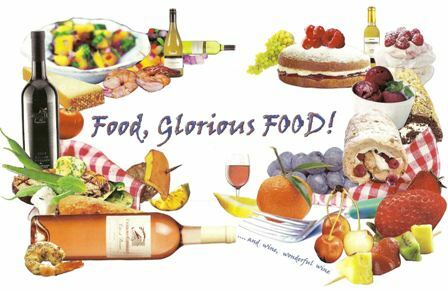 Food-wise, it is a mine-field. At this time of year, a little cold snap has me shying away from the salads and fresh spring greens that have been featuring in most of my recent meals and instead I crave a little of the comfort that comes with something a little more hearty. I can't pretend to you that this is a healthy supper. Not in the slightest. But it was jolly good. And super quick to whip up after work. It felt like a real treat and certainly warmed me up on a chilly evening. 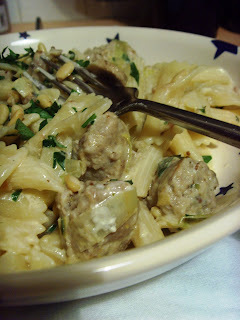 You could use any good quality sausages for this creamy pasta dish. Mine were 'pork, wholegrain mustard and buttered onion' ones. They were very good though next time I might go with a plainer pork and herb option. 1. Toast the pine nuts in a dry pan and set to one side. Start by chopping the sausages into half inch chunks. Slice the leek, garlic and mushrooms. 2. Heat a drizzle of olive oil in a large non-stick pan and add the sausage chunks. Brown on all sides before adding the leeks. Once these have started to soften (you may need a touch more oil or butter), add the mushrooms and garlic. Cook over a low heat while you prepare the pasta. 3. Bring a large pan of salted water to the boil and add the pasta - cook as per packed instructions. 4. 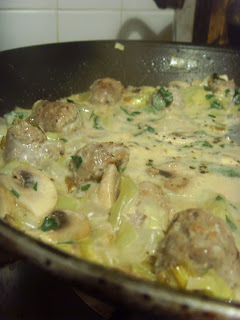 When the sausage/leeks etc are cooked through, turn the heat up a little and pour in the wine and two mustards. Bubble for a few minutes until the smell of alcohol has disappeared and the liquid has reduced a little. Lower the heat and stir in the creme fraiche and herbs. Stir well to combine and heat through. 5. Drain the pasta and add to the sauce. Stir well to coat thoroughly. Season with salt and pepper, sprinkle over the pine nuts and garnish with more herbs before serving.